Karen Mordechai is a photographer, cook and stylist, who founded Sunday Suppers nine years ago as an opportunity to bring together two passion lines in her life, good friends + food. 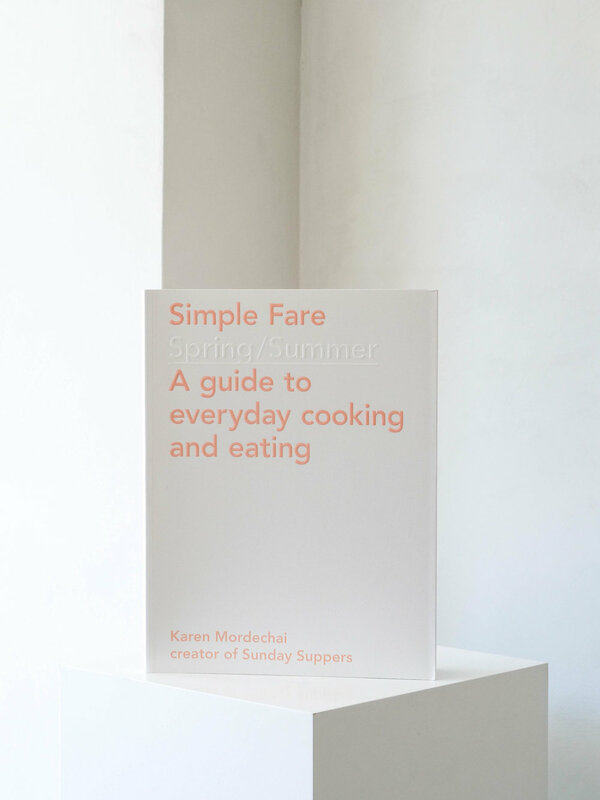 The recent Cookbook series, composed of Simple Fare: Spring and Summer and Simple Fare: Fall and Winter is a comprehensive collection of seasonal recipes. The recipes are designed to excite and inspire, each offering 3 to 5 alternate ingredients that can be used in the same preparation.